Does little sister feel left out at the pool when it comes to mermaiding? 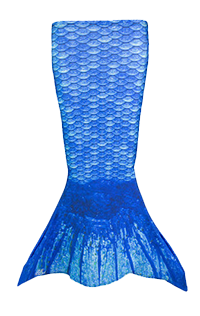 No more pouting—she can join in the fun with a mermaid tail of her very own! She’ll love playing in the water with a swimmable tail created just for her. 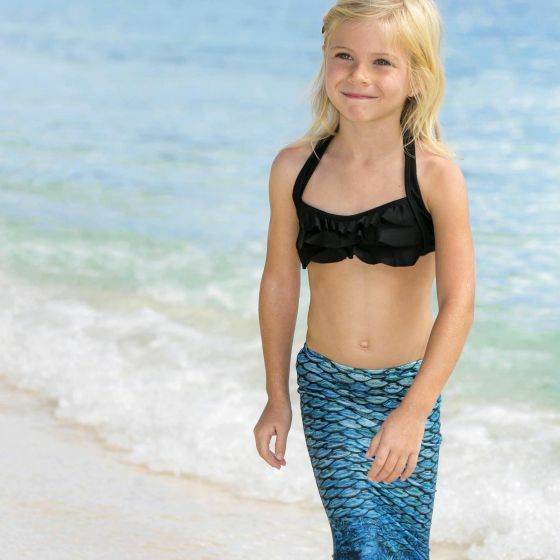 Fin Fun’s special line of toddler mermaid tails look just like the Mermaidens Mermaid Tails available for girls and women, except these pint-sized tails have a full open bottom, like a long skirt, to allow free leg movement. 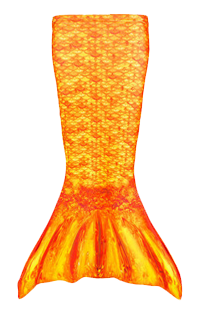 They do not use monofins like swimmable mermaid tails. You’ll enjoy browsing the many designs and colors we offer that feature a realistic-scale print design! 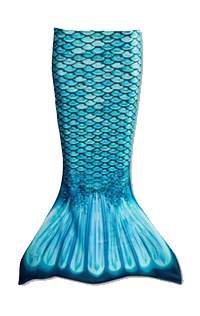 Sisters can match, or even choose the mermaid tail that complements her unique personality. Coordinate your toddler tail with matching tops and bottoms for a complete look. Our solid black swimwear looks amazing paired with Mariana’s Tidal Teal design, with its realistic fish scales outlined by black. 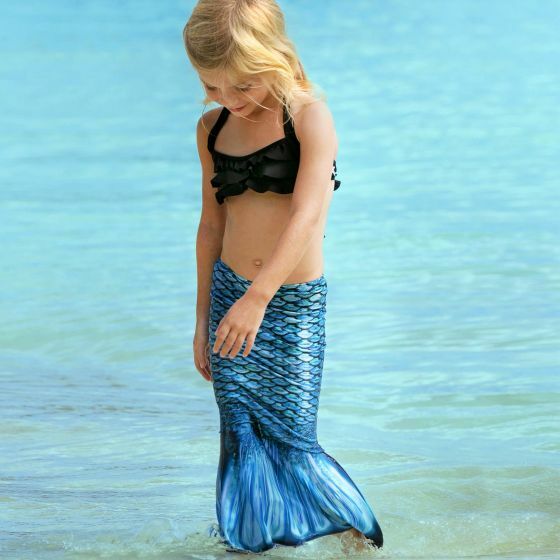 Create a magical swimming experience for your toddler with a Mermaidens Mermaid Tail of her choosing. Her eyes will light up with excitement at her mermaid transformation. 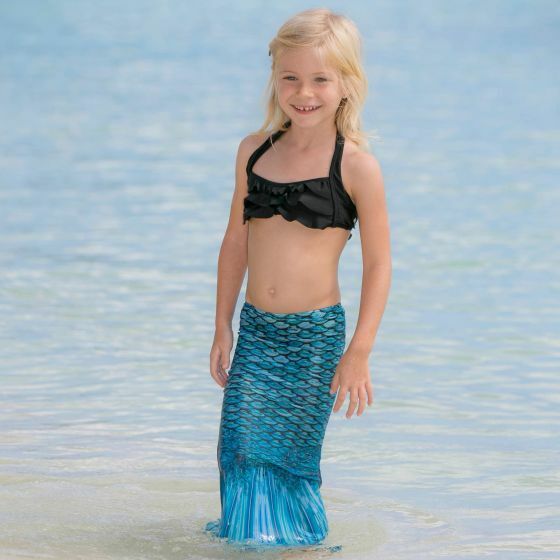 She’ll love how this soft fabric tail feels and looks in the sun!